Too strange for radio ! Outsider Musicians have come inside for a celebration of their art. 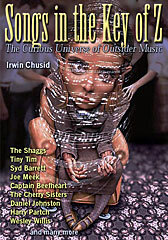 Two counterpart CDs to the book SONGS IN THE KEY OF Z: THE CURIOUS UNIVERSE OF OUTSIDER MUSIC are available, produced by the book's author, Irwin Chusid. 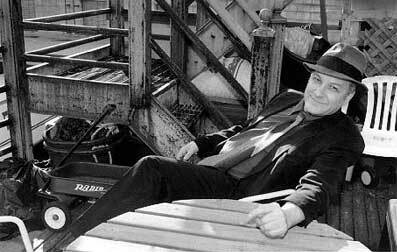 Irwin Chusid is a record producer, radio personality, journalist, and music historian. He was the primary force behind the resurgence of interest in pop composers Raymond Scott and Esquivel, and produced the heralded Langley Schools Music Project. Chusid hosts a weekly free-form radio program on WFMU, has produced dozens of records and concerts, and has written for The New York Times, Mojo, New York Press, and many other publications. His book about Jim Flora will be published in August 2004 by Fantagraphics. What is OUTSIDER MUSIC? -> click here to find out!